Homage to Duchamp by Chris Betcher is licensed under a Creative Commons Attribution-ShareAlike 4.0 International License. Oh, and by the way, who would YOU invite to your ultimate fantasy dinner party? Leave me a comment and let me know! Great article, but one point Chris, Public schools don’t block YouTube, the DEC does, and wow, have I had arguments about that to the DEC, especially as they did allow it at one point then took it away, won’t even let the teachers choose a YouTube video and allow students to view it on Moodle. I have always loved the photography of Edward Weston, and followed him a fair bit while studying Visual Arts at Uni. Also Duchamp and Dupain. All great photographers and must say, viewing Black & White works is much more satisfying to the eye than colour as we see colour all day every day. I’ve had quite a few exhibitions while at Uni and just after, and all the images I produced in my darkroom became my enemy in a way, as when I was a professional photographer, just before Uni and while at Uni, the other pros saw my images (black and white) and took me on to produce their prints. Hi Stuart, Thanks for the comment. I’m not sure I actually made any accusations about WHO was blocking YouTube. I know it’s not the Public Schools that block it at their end, but rather, the DEC blocking it systemically. But WHO blocks it is not really the point. It’s blocked and that’s unfortunate for ever student that misses out. Wow! 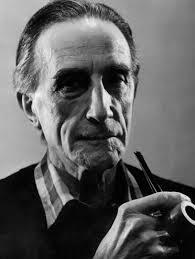 Thanks, Chris: Duchamp is one of my heroes too, and I had no idea that an interview existed. In fact, there are a bunch of people I have written off as part of a pre-internet culture and who might well be brought back to life in the same way. I had a really enjoyable Saturday last year checking out all the Richard Feynman clips, and should make more time to learn from these awe-inspiring people. Interesting share Chris. In regards to the YouTube comment. My school continues to block it and I always thought that it was because of the fear of cats. However, there is a great threat at play, the lack of appropriate infrastructure. I can’t get people to trust using Google Apps as the network is so unreliable. What would happen if students all started accessing YouTube? The concerning message amongst many at the moment is the tale of those with quality Internet and those with department supplied access. Sadly, the divide in education only continues to grow. Yeah, that’s a bit of a problem. There’s no simple solution to that except to say that if a school, or school system, says they value the importance of networked learning, then having a robust and reliable network has to be a given. If it’s not… well, I don’t know how you fix that except to say that clearly whatever government doesn’t value that is clearly not doing a very good job of governing.